Hi Jamal, you are such a talented player and a lot of the Italian fans look at you as a star of the team. Only in one season people compare you with Hughes, Judge or Bishop and your one of our favourite players. So you know, it’s a great honour to have an interview with you. #1Our usual question is: What are Notts objectives? The season is going to the end so we want to know what you think about this season of the club, if you think the playoffs are still possible or it’s something you can focus on next season. "Obviously get has high as we can and aim for promotion. With the results it is proving a little more difficult now, it isn’t mathematically impossible though and so we are still trying to push for that". "I think the play offs are still possible, and I think it will boil down to a bit of luck as well, now we see the teams above us winning and we are dropping but will still really want it and so the focus is still on the play offs and now it is about us getting the results and not relying on the other teams not to". #2About your personal season, we’d like to know if you are satisfied or not. You've scored many goals, which one is your favourite? "Yeah generally I am pretty happy with my performance this year, obviously I have had games where I have been off a bit and that is natural for any football player but generally I think I have had a really good year and I am happy with my performance this season and I hope it can continue". "Erm, probably my one against Hartlepool, I thought it was quite a good solo effort and at the time it seemed a really big goal because it drew the game level and unfortunately we lost it but yeah, I enjoyed that goal". 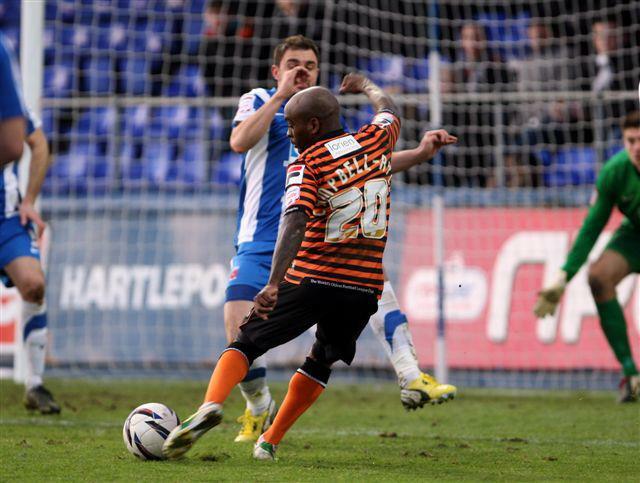 #3Talking of goals, some people asked if your goal v Oldham was a shot or a cross. So what’s the truth? "It was a cross shot haha I was happy with that one". #4What’s you favourite player in football? "Growing up I always idolised Ronaldo, the brazilian one, I always thought he was the greatest, him and Zidane were toe to toe, but now days I look at players like Andres Iniesta, he just glides across the pitch, he is phenomenal". #5You have a good vision, good technique and good feet, do you feel like a number 10? "Yeah, I have played there in my career and I played there at the back end of last year at Leyton Orient, obviously Judge is playing there at the moment but maybe one day I will get to show Notts County that I can play there too". #6Why did you decide to play for Jamaican National team and not for the English one? "Because I am not good enough J hahaha, Jamaica came calling and it was a great opportunity and I have quite a few caps now so it is probably the proudest moment of my career". This is not a question but a request. 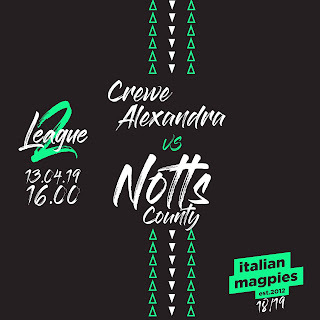 Some of the Italian fans will come to Nottingham on the 13th of April, can you come to celebrate your goal with us on that day? Thank you! "Yeah no problem, I am looking forward to it". "Thank you very much for the kind interview". Many thanks to Campbell-Ryce, Andy Black and Dane Vincent. Thanks to Dan Westwell for the photo.